Call us now on 03 5988 4556 or email to book Mike Symonds to speak at your event! “Highly engaging, practical and fun!” Mike Symonds is a playful and engaging speaker who will educate, inspire and entertain your delegates. With over 15 years experience in ‘Staff Engagement’ and designing and delivering fun team building experiences Mike’s highly interactive and practical keynote’s are guaranteed to leave you and your delegates inspired, energized and armed with a range of ideas they can implement straight away! Mike was the pioneer of fun corporate team building events, at a time when ‘high ropes courses’ where the only option for team building. 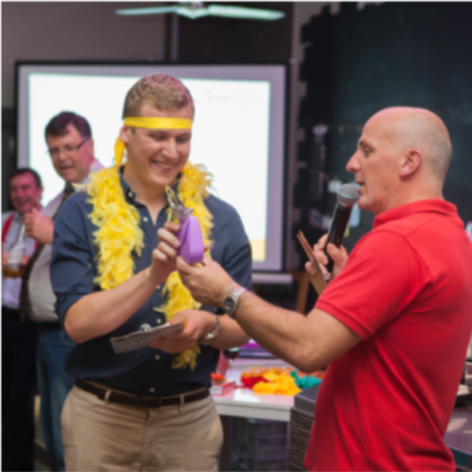 Mike and his wife Sarsha developed a range of fun, interactive team bonding experiences which could easily be delivered in the workplace and focused on building positive relationships fast by allowing people’s ‘true spirit’ to shine through fun, shared experiences. 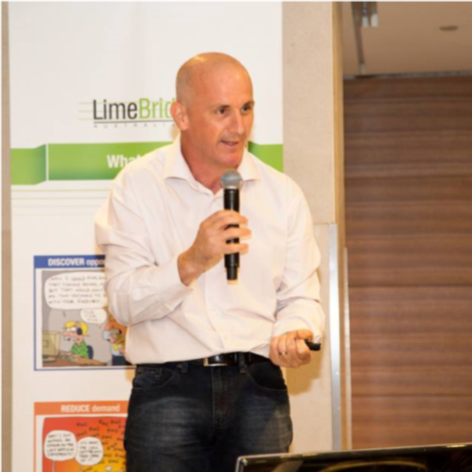 During the past 15 years Mike has presented to the likes of ANZ, Sensis, Exxon Mobil, Cadbury Schweppes, Flight Centre, Origin Energy, St Vincent de Pauls, numerous Industry Associations and business network meetings, to address issues such as employee dis- engagement, culture change, team conflict and poor performance. If you ‘manage people’ – whether it’s as a CEO, middle manager or team leader for a Top 200 organisation, Not for Profit or SME your greatest asset is also your biggest challenge! Mike will stretch your views on what is possible and show you how you can easily create a workplace of choice, boost morale and improve staff performance.